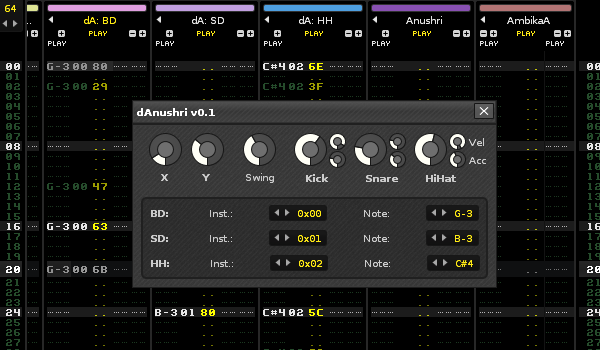 Short skit this week, playing around with a tool in Renoise called Danushri (https://www.renoise.com/tools/danushri) to generate different rhythmical patterns to expand on. Read the tool description in the link above to see how it works, I'm happy it at least created beat patterns I normally don't program myself, a bit swingy. Also a lately bass thrown in for cheese sake .